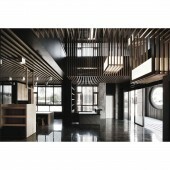 Mr. Tseng Chuan-Chieh was born in 1968 in Taiwan Kaohsiung and became a graphic, stage, interior and architectural designer. His obsession with music, painting, and deep knowledge of Feng Shui has made him reach the most difficult "top spirit of Feng Shui interior designer". Mr. Tseng Chuan-Chieh, who has gone through experience in life, in practice, summing up, finally put together a system of knowledge, creating his own exclusive “Interior Design” of the Kingdom,Banty Interior Design Enterprise Co., Ltd , which was established in 1996 in Taiwan. 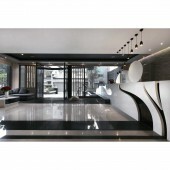 As the General Manager of Taiwan Banty Interior Design company, in addition to establish a good image outside the goodwill in the industry, in recent years has helped many companies to assist many businesses, the creation of brand new thinking and a wider perspective, leading the macro " Banty Interior Team" towards a creative industry diversification. Therefore, Mr. Tseng has long committed to the study of Interior design, and cross-foot art, design and architecture, Feng Shui, music and other fields. Everyone calls him as a musician in design, in the construction industry of artist, music designers, architects in the world of Feng Shui, Feng Shui master in the arts community. Tseng Chuan-Chieh is able to cross-border by designing in a unique style, a smart way of thinking mode and using the power of nature, clever integration in various fields of specialization. banty interior design Enterprise Co., Ltd.
General manager of Taiwan Banty Interior Design Enterprise Co., Ltd.
General manager of Shanghai Bingo Interior Design Co., Ltd.
Press Members: Request an exclusive interview with TSENG CHUAN CHIEH.